�Divas of the Decades� is a show paying tribute to the female pop, soul and rock vocalists that re-shaped music and touched all of our lives. 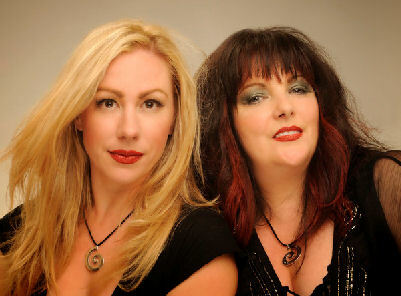 Powered by our two �Divas� ~ Mary Ellen Duell and Amanda Dieck, you are guaranteed to be amazed when you see and hear them transform into icons such as: Madonna, Linda Ronstadt, Blondie, Pat Benatar, Heart and Gwen Stefani. You will also be entertained as the band delights you with song excerpts from over 25 other Divas. �Divas of the Decades� is proud to consist of some of the Bay Area's finest musicians, who are able to capture the essence of all the different musical styles and combine it with their own driving sound that will keep you entertained and on your feet! This is the perfect show for casinos, fairs, private events, concerts and any celebration imaginable. Don't miss out on having �Divas of the Decades� play at your next event!